One of the common causes leading to failure of washing machines “Vyatka-automatic”, is the failure of motor windings (ED) the drive command device. In repair shops usually eliminate this problem by replacing. And I prefer not to deal with blown cheap update windings and not even with “soundriver” motor, and with expensive command device (SC), in which all of this is not subject to disassembly “monolith”. Complex Assembly is replaced as a whole, on the financial costs of the client, no one cares. Not surprisingly, the owner of the spoiled washing machine seeks to fix it on their own, do not settle with time or with lack of experience. But L1, you need only rewind, there’s nothing like a coil (Fig. 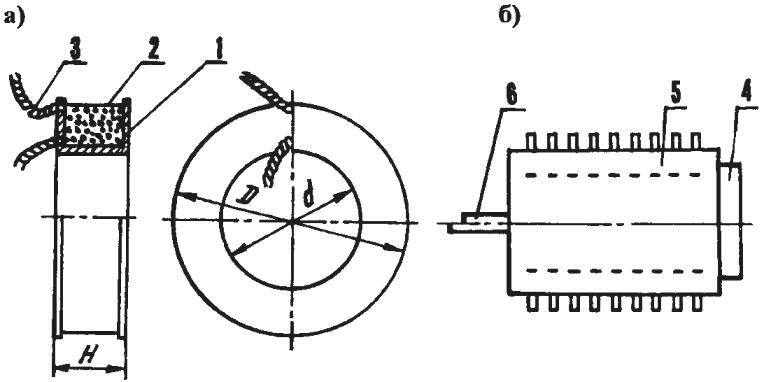 1A) multi-pole electromagnet fixed on the shaft and constituting the rotor of the motor. You should also consider other complicating factors repair. In particular, the fact that at the end of the rotor has a gear. Of course, have ED, and the stator is original, stamped. The motor is attached to the command device (Fig. 1B), three pins within openings in the housing of KA and slightly flared from the back side. During disassembly of this unit, you must ensure that the current-carrying conductors are not disconnected from the terminals. Named the precaution dictated not only and not so much hlopotnoe restore accidentally Rusakovskaya contacts as the difficulty of finding themselves disconnected terminals. Before removing the body of ED on it and on the case of KA it is advisable to apply a test label, which will then properly assemble the entire structure with a new L1, wound on your own. Inserting into the gap between the switched nodes a screwdriver and lightly tapping on it, you can separate the engine from the command device to get a blown coil. But it should be done carefully so as not to lose the one-way clutch — a small plastic piece located between the case ED and anchor. The biggest disadvantage is that the winding is filled with plastic. And need to put a lot of effort by removing all unnecessary, save with a minimum of damage to the frame. If that fails, it will have the size of former regular to glue the new frame (see Fig. 1A). And as a raw material, use the thin Micarta or fiberglass. Is acceptable and dense electrical cardboard — presspan. Factory (burned) coil is wound with very thin wire. Play exactly the same, probably meaningless. Moreover, the small thickness of the regular wires and was likely the cause of the failure. The new coil is wound (to fill the frame) wire ПЭТВ2-0,14. The findings also perform a sufficiently durable and flexible to use stranded mgshv or its analogues. Otherwise, the ends L1 can break under high vibration loads encountered during operation of the washing machine. For the same reason you can’t leave long loose, sagging conductors. Because the resistance of the new L1 is much smaller than the former, which had a face value approximately equal to 10 kω, the connection repaired ED is made through a current-limiting RC-circuit (Fig. 2). The capacitor and resistor attached (e.g. with tape) to the harness that are suitable to the command device. This is done taking into account the required vibration resistance and mechanical strength characteristic of the nodes experiencing the affects of the intense vibrations during operation. Particular attention is drawn to the provision of adequate reliability of the electrical connections. You have to consider other “nuances”. In particular, the pin body ED before Assembly, a little rasp, and then clench to ensure the necessary strength of the former “monolith”: to engine-the command device. Of course, we cannot forget the timely installing the freewheel. Self-repaired engine runs no worse than new, ensuring the normal functioning of the command device and the entire washing machine. In addition to burning out the windings of the ED drive command device is found in “Vyatka-machine” is another very tricky problem: in case of failure of sensor — relay temperature begins to rapidly boil the water in the tank. As a consequence deformed and damaged front panel and some other parts of the washing machine, made of very heat resistant plastic. The evolving emergency situation is aggravated by a powerful heater. They consumed 10 amp current is switched directly by the sensor — relay of temperature tnz of the type DRT-6-90. Perhaps the last and calculated on such a load, but no stock, it seems, has not. Work in a very heavy current mode, leads to sintering of contacts of the sensor, and the regular heater switch-off when the water reaches the temperature of 90 °C does not occur. Hence, overheating of the tank along with its contents. Besides become unreliable and contacts of the command device. 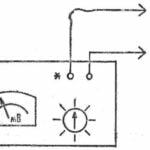 These troubles can be avoided if you change the wiring of the heater by the triac VS1 (Fig. 4A). Because when you work on the last dissipates significant power, it must be installed on the radiator having a radiant surface of about 500 cm2. 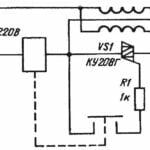 The triac, it is desirable to choose a stock current limit and working voltage, after work he will have enough in hard temperature conditions, when the environment is often heated to 90 °C. 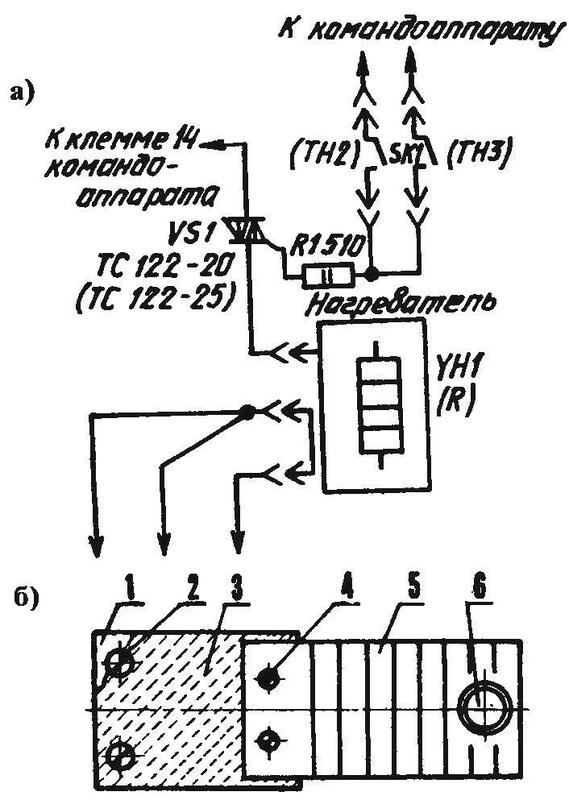 in Addition ТС122-20 (ТС122-25) indicated on the circuit diagram, it is acceptable here may be considered less powerful semiconductor devices. For example, triacs ТС112-16 groups 7 (12). In any case, the triac is mounted on the radiator, which is screwed with two screws M5 to the plate of 4-mm glass fiber. And that, in turn, is mounted on a bracket (holder) of the main engine. Accordingly, in the holder are two holes M6 (Fig. 4B). Turns out the radiator is securely isolated from the engine case. And this is important, because the voltage between the case and heatsink can reach up to 220 V.
Additional resistor 510 Ohms is 2 watt. For desoldering provides special racks fixed on the dielectric plate. The whole structure needs to be designed to operate in conditions of high vibration and temperature that reaches when boiling linen to 90 °C. Requirements for connecting conductors: cross section (in recalculation on copper) — not less than 1.5 mm2, mount — durable, zatzka in terminals for reliable, provides adequate electrical contact. 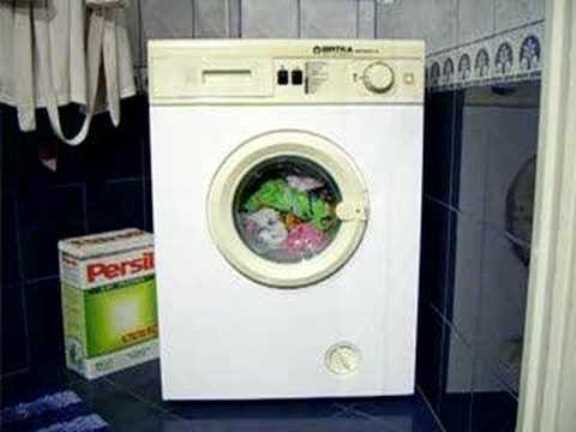 Washing machine with this improvement (Fig. 5) is externally indistinguishable from their regular counterparts. I have it reliably “working” for more than seven years.